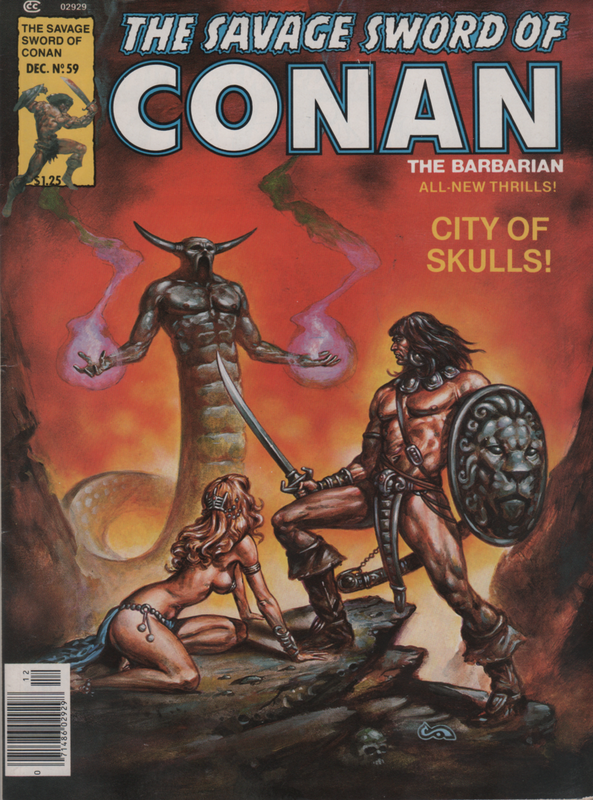 The Savage Sword of Conan 59, 1980 “City of Skulls!” | Magazines and Monsters! ← A Steve Ditko tribute! The black and white magazines from the 1970s are treasures that should be on every comic book collectors list. The artwork is typically phenomenal, and the stories cool as well. 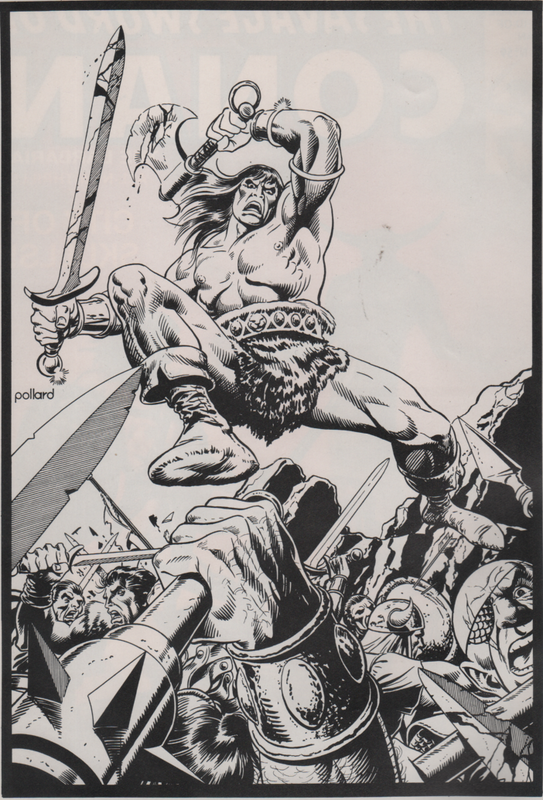 One of the best of these without doubt is The Savage Sword of Conan! 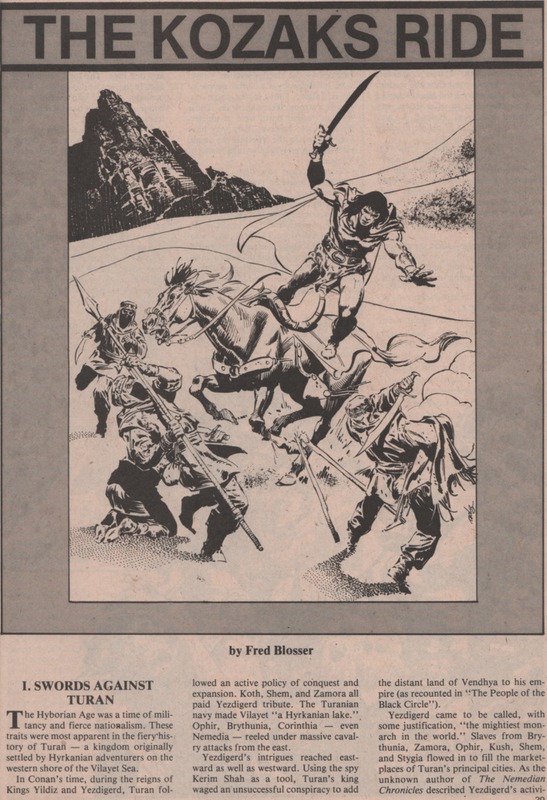 Each magazine is filled with stories from the barbarian and his adventures. Whether he faces a wizard, a monster, or an army, Conan will prevail! The mags almost always have extras in them as well. In this particular issue, you’ll see a frontispiece by the terribly underrated Keith Pollard and a pin-up by Gene Day! 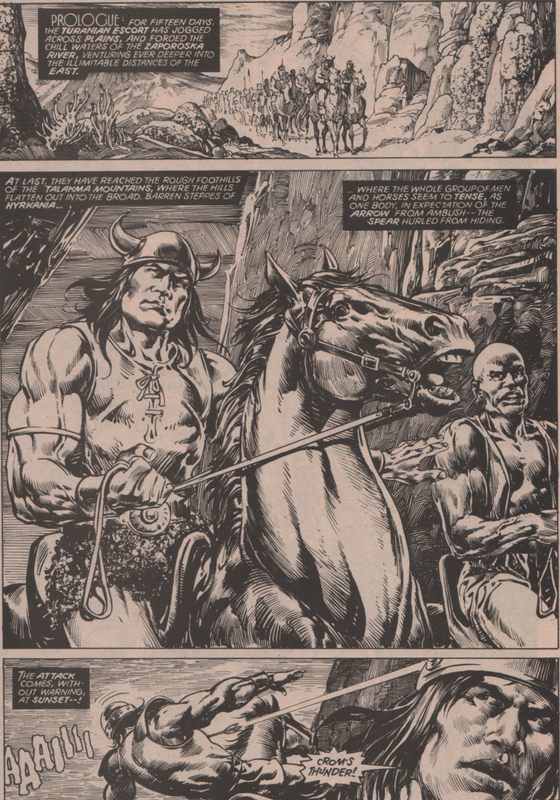 Also, sandwiched between two tales of the Cimmerian, you get a story called “The Kozaks Ride” by Fred Blosser and some illustrations by “Marvel’s finest.” The other two stories were adapted by Roy Thomas! The first tale, “The City of Skulls,” was a story written by L. Sprague de Camp and Lin Carter. These two sci-fi writers have a ton of credits and were obviously huge fans of Robert E. Howard! 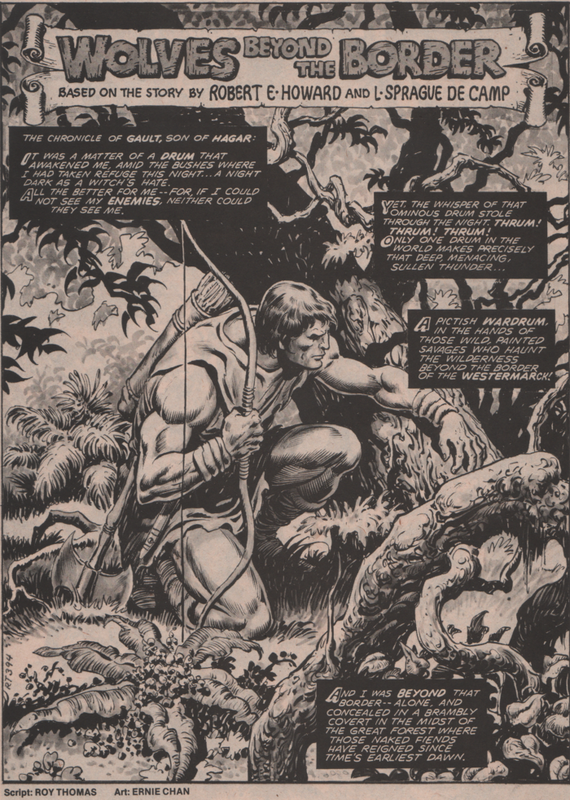 The artwork is by Mike Vosburg and Alfredo Alcala. 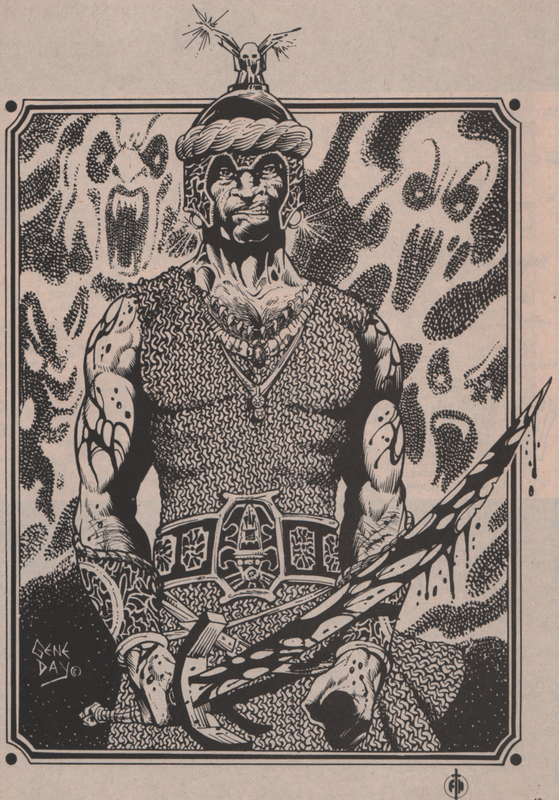 The second story, “Wolves Beyond the Border” was written by Robert E. Howard and L. Sprague de Camp.The artwork in this story is by Ernie Chan. Now, you may be wondering how these other names came to write stories starring everyone’s favorite barbarian. Well, the truth is, many stories were written by others after Howard’s death in 1936. They were either new material using the characters created by Howard or sometimes old material that had not been completed yet by Howard himself. Throw in an incredible painted cover by Clyde Caldwell, and you have a masterpiece of fiction brought to you by Marvel Comics!